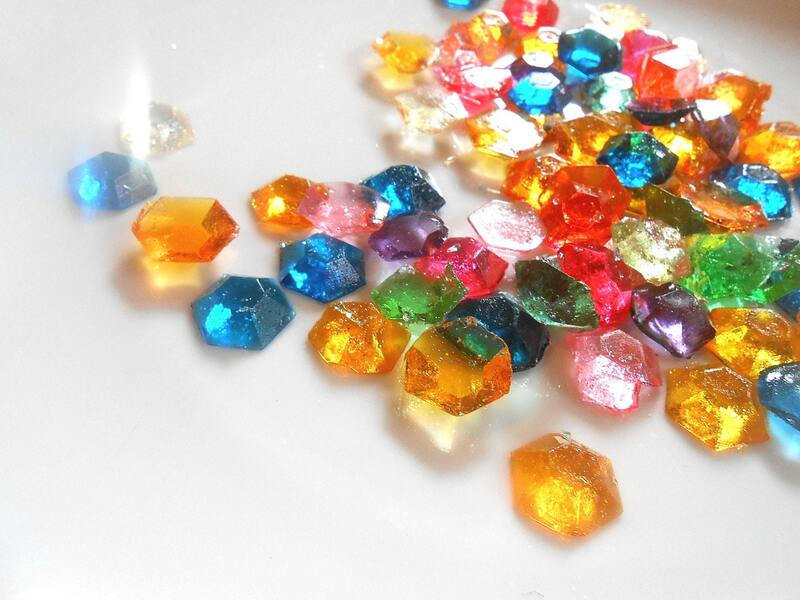 Many colors in all of natural gems to make your cake the treasure of the party. 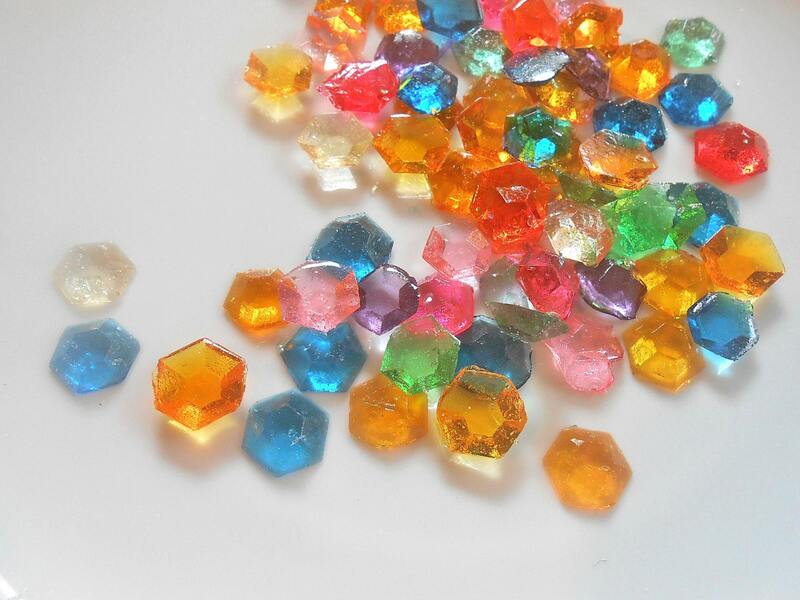 Each gems is flavored with the top flavor favorites from cotton candy to marshmallow as well as fruits. 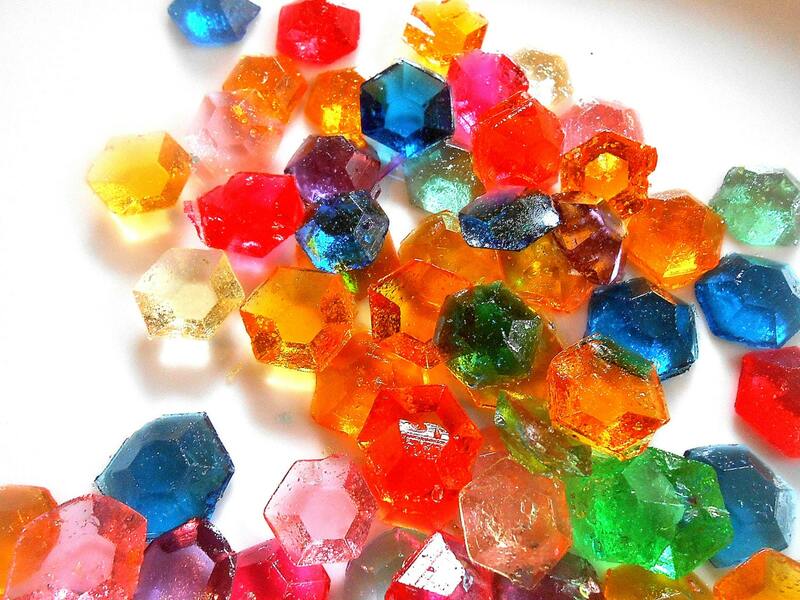 Because these are flavored and made from real pure cane sugar they can be made up into favor packs. Kids love them. You'll hear "I'll trade you for your pink ones:)"
I have selected a mild sweet flavors for these candies that everyone will love but will not compete with the flavor of your icing but add to the fun of your party. Received quickly but a number of the items were overfilled so detail not as crisp as expected. 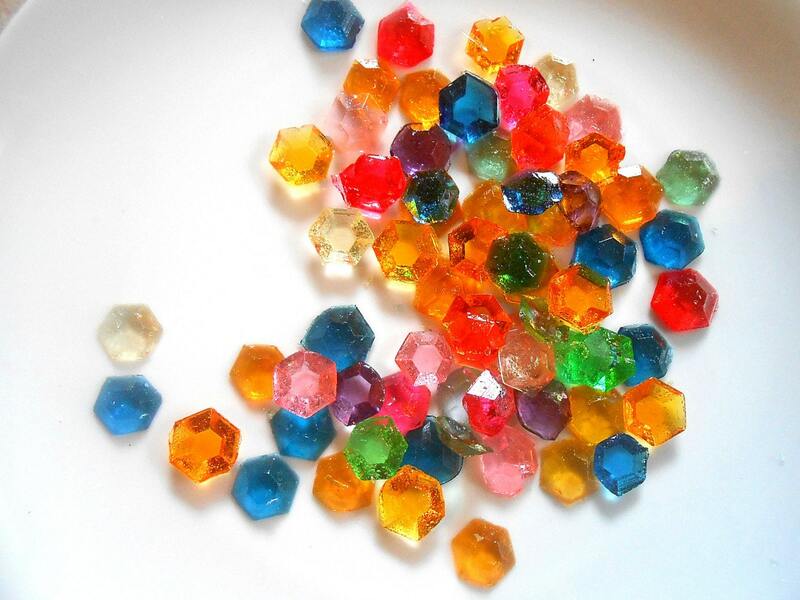 The candy not only looks adorable but tastes great too! They are for my sons birthday and I'm hoping some are left over because I've had to hide them so I don't keep eating them all! Shipping was fast! The candy was delicious!